Very friendly and helpful staff, also very nice breakfast. Where to find Thal hotels near an airport? 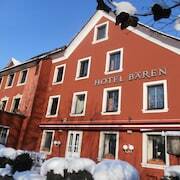 Where can I find hotels in Thal that are near tourist attractions? Planning to spend some time in Lake Constance and want to stay close to central Thal? About 9 Expedia-listed accommodations can be found within easy driving distance of Thal's center. Take in the sights close to the center of Thal. 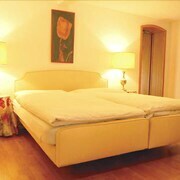 Accommodations in the vicinity include Schloss Wartegg and Schloss-Hotel Wartensee. 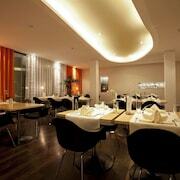 Check out the Burgunderhof Hotel - Adults Only or the Hotel Bad Schachen. 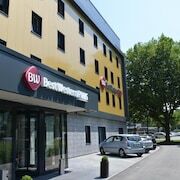 The Burgunderhof Hotel - Adults Only is located 30 kilometres (17 miles) away from the middle of Thal. 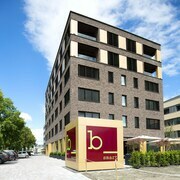 The Hotel Bad Schachen, is located 12 kilometres (7 miles) away. 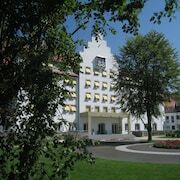 Two more hotel options include the Hotel Weisses Kreuz and the Hotel Säntispark. 40 kilometres (26 miles) to the northwest of Thal is Heiden, which features the Arenenberg Castle. 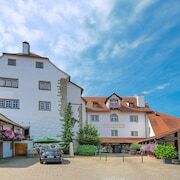 Those planning to stay a night or two in Salenstein can pick from the Wellnesshotel Golf Panorama and Ferienhotel Bodensee. While exploring this region, you can also visit Heiden, where you'll find the Evangelische Kirche Heiden. Heiden is found 5 kilometres (3 miles) to the south of Thal. 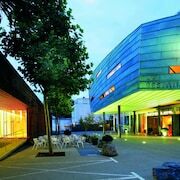 The Hotel Heiden Swiss Quality and Best Western Hotel Rebstock are great places to lay your head. Get your fix of local sport by making a journey to AFG Arena, which is 20 kilometres (13 miles) to the southwest of Thal. 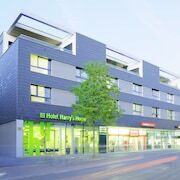 For travelers who are keen on booking a room nearby, make a reservation in the Sporting Hotel or Landgasthof Säntisblick. 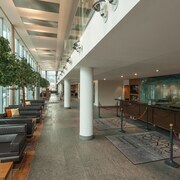 Thanks for checking out our Thal hotel listings. Be sure to spend a few minutes exploring Expedia's Thal travel guide for the low-down on this place's cultural and scenic delights. What are the most popular Thal hotels? Are there hotels in other cities near Thal? What other types of accommodations are available in Thal? Explore Thal with Expedia.ca’s Travel Guides to find the best flights, cars, holiday packages and more!